One of the best justifications for using metadata is that it is “a love letter to the future”. It means planning for metadata will give your content a chance to be found. * But I can't find who coined this phrase by Googling it or hours of browsing. It should show up under keyword searches like "metadata" or "love letters", but because a friend told me it's hard to track down the origin. If only conversations were tagged. In the blur of the web, losing information is becoming more common. If you want your content to be found, tag it. As the web gets busier all those keywords, topics or subjects just get more important. Apps like Zite or services like paper.li create newspapers for users just by pulling this descriptive metadata. On a bigger web presence, metadata creates dynamic feeds that allow the robots to do the curating. While it's fallen out of favour with search engines because it was easily rorted, metadata-driven RSS feeds to other sites and social media have become a powerful way to create niche news. Metadata means your content will be found and can be meaningfully sorted not to mention stored and found later. The fortune cookie definition of metadata is that it is "data about data". Not very helpful. Metadata is a way of describing content so it can be more easily found. 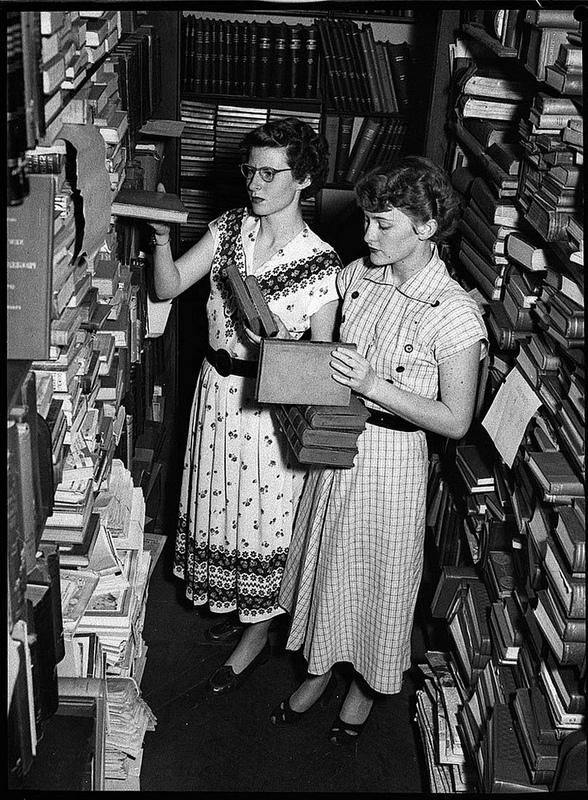 An early example is the Dewey Decimal System that assigns numbers representing keywords to library books. In the 19th century Melvil Dewey reckoned that all human ideas could be classified into 10 basic classes, which provided the "hundreds" of his system (Literature, for example, is the 800s). This was descriptive metadata which still allows books to be found to this very day. But on the web information lives on many shelves so multiple tags mean content can be referred to several different ways. So how do you usefully apply metadata? When applying keywords, I have a rule called satisfaction of click-thru. Before applying a keyword think how satisfying it will be for a user to click on it and find themselves on your page. Will they be unsatisfied with the results? Rather than a scatter-gun approach of applying every keyword imaginable, be judicious and consider if content will satisfy that keyword. One of the most popular categories in my iPhone app Essential Melbourne is the category "hot dates" which is applied to places that would make a good place to go out for an intimate evening. It is entirely subjective and users have emailed saying they were disappointed their dates were only lukewarm. While it's popular it's very hard to have this category applied consistently - one writer might think a night bowling is a romantic night out while another might have loftier standards. When multiple authors use this subjective metadata it's valuable to build up a dictionary with a definition to support each term but even this should be supported with training so all content creators have a similar understanding of what makes a hot date. Tags that are too clever don't work. Just like the best information architecture clearly communicates what falls on pages, keywords and tags should be easily applied and understood. This blog plays around with metadata and uses labels like writing for food in a "will write for food" sense, but the blog grew to include food writing which gets muddled with searches that include this label. Building a schema of labels as part of a content strategy would have helped especially if it included topics for the blog and audiences for the content. But there are a lot of objective metadata fields like time of publication or location that might happen "under the covers" in a content management system. Latest news feeds sort articles by time of publication, for example. Templates can apply metadata universally across content so an organisation's name can be applied as an owner or author of any content produced making it easier to find their content or apply copyright. It's handy stuff but the value of descriptive metadata is that it supports content curation. Find metadata that supports what your users want and your love letters are always properly addressed. Crowdsourcing truly is time saving. Thanks everyone for your help. George, I know I am a complete pain, BUT I FOUND THE PERSON. He must have given an address as part of New York Public Library labs. There is a photo going around of one of his slides which I'm sure you saw: Metadata is a love note to the future. As you've correctly assumed, the original remark has been lost in (spoken) translation. Here's the original post on his blog, where he calls metadata "a kind of love note to the person after you". "Metadata, you see, is really a love note – it might be to yourself, but in fact it’s a love note to the person after you, or the machine after you, where you’ve saved someone that amount of time to find something by telling them what this thing is." Haven't the time to check absolutely why he was there, or exactly what his job is. I think MetaData is used for SEO propose. Am I right? Is there any other use also? Yes though Google has cracked down as it was being abused with keyword stuffing (https://support.google.com/webmasters/answer/66358?hl=en) but it's also useful for getting your content picked up for syndication (some aggregation services are based on keywords) and also for organising your own content.